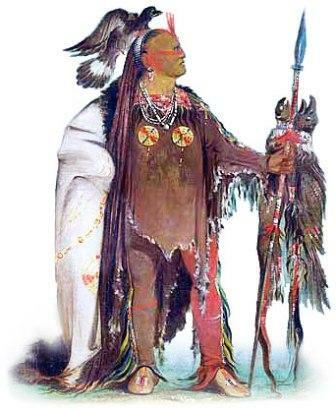 Facts and information about the History of Clothing and regalia of Native American Indians and their Buckskin Clothing. Buckskin Clothing is made from soft strong leather, usually yellow or grayish in color, made of smoked deerskin. The name derives from buck + skin, the word 'buck' meaning a male deer. Buckskin clothing or Buckskins originated from the deerskin clothing worn by Native American Indians but became popular with frontiersmen and mountain men for their durability and their warmth.